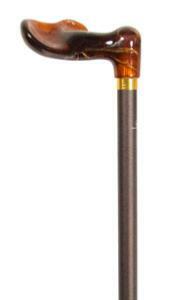 A very smart version of the practical orthopaedic stick with supportive Fischer handle. 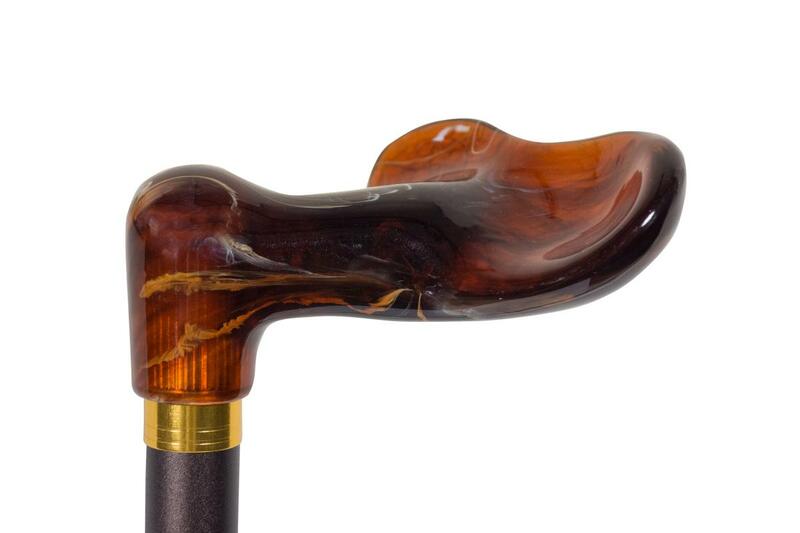 The handle design in imitation amber spreads the user's weight across their palm, which many sufferers of arthritis and rheumatism find of great benefit and comfort. Also available in a left handed version to make a pair. The brown, anodised aluminium shaft is adjustable in height from 77 to 102cm, making it suitable for a wide range of users. It is fitted with a non-slip brown rubber ferrule. Ferrule diameter 19mm.